With a long history rooted in the export of pepper and rubber, the State of Kerala is located in southwest India on the Malabar Coast. Noted for its high rate of literacy, house boats, and tourist attractions, it is a region of India that is ranked high on the Human Development Index (HDI), which is “a new way of measuring development by combining indicators of life expectancy, educational attainment and income into a composite” ranking of geographic areas and countries. Consisting of a population that is 56.2% Hindu, 24.7% Muslim, and 19% Christian, Kerala is a region of India in which very little sectarian violence takes place – making it a relatively serene example of religious tolerance in a country that has experienced intense hostilities with neighboring Pakistan. One of the more bloody conflicts involving Pakistan and India occurred in 1971, when India invaded East Pakistan to end the persecution of Hindus living in that area as a significant minority of the population. A decisive victory for the Indian military, the war involved nearly 1 million troops – with about 12,843 killed in battle, another 14,201 wounded, close to a 100,000 prisoners of war, and approximately 10 million refugees that fled East Pakistan into India. One of those serving in the victorious Indian Navy was Akb Kumar, who would retire in 1985 as a Chief Petty Officer with 18 years of military experience. Now age 62, Kumar has recently spent his life savings in the erection of a memorial to war heroes and terror victims, as an effort “to tell the world to discard weapons and embrace peace.” A resident of Alappuzha, a city located in the State of Kerala, Kumar chose a location nearby at Thumpolly Junction along National Highway 47 for the construction of his memorial, which is purposefully designed to resemble the Taj Mahal, the famous mausoleum constructed in Agra, India by Emperor Shah Jahan in 1648. Comprising an area of 7,000 square feet, the monument is about 42 feet high and includes four minarets that represent the Indian Army, Navy, Air Force and Paramilitary Forces. Along the walls are engraved the names of war heroes and terror victims, including those who lost their lives in the infamous Mumbai Attacks, which took place from November 26 to November 29, 2008 – claiming the lives of 166 Indian citizens and seriously injuring at least another 308. Coordinated by the Pakistani Inter-Services Intelligence (ISI), these attacks were the work of Islamic extremists that targeted the Taj Majal, movie theaters, hospitals, cafes, bus terminals, a Jewish community center, and St. Xavier’s Catholic University in Mumbai (formerly known as Bombay). 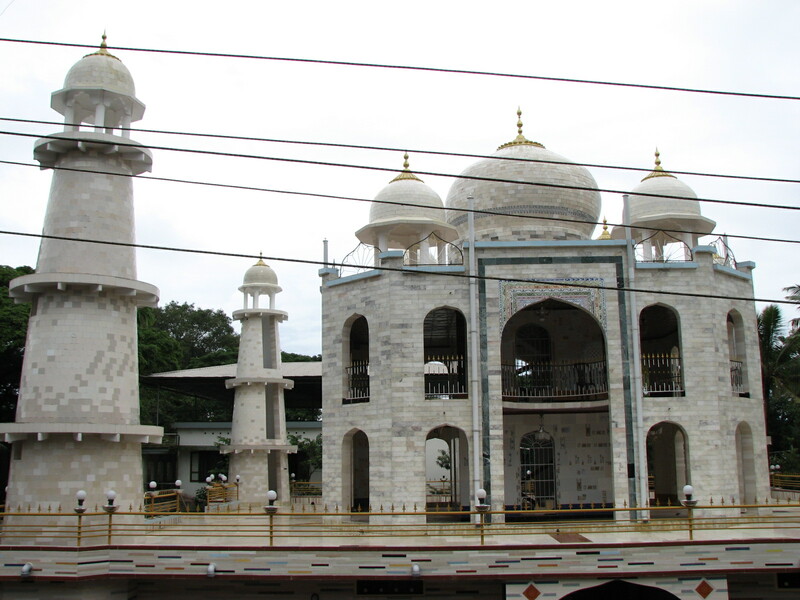 Kumar spent approximately $450,000 on the construction of his unique monument, a sum he raised mostly from the sale of family property, including a coconut plantation his wife had inherited. Since the architect who designed the building is a personal friend, the total cost is considerably discounted from normal expectations. Since October of 2012, he has been in the process of placing all the flags of the world around the palace. The admission to the Global Peace Palace is free, so his intentions must be viewed in terms of altruism. While considering the story of Akb Kumar and his dream of peace, one is reminded of the role religious intolerance has played in terrorism – which is very evident in the Mumbai Attacks. As David Gibson of the Huffington Post has noted, absolutist religious beliefs and radical political narrow mindedness often combine to “act as an accelerant to terrorism.” Cultural concerns, economic factors, and psychology also play a prominent role, but religion becomes the rallying point around which fanatics express their discontent with the powerful elite by killing and maiming the innocent. Psychology Today has labeled this phenomenon “Sacred Terror,” involving engagements that “take on an over-powering, transcendental necessity” for the person committing the violence. Kumar should be lauded for his realization that a monument can become a valuable instrument in combating this horrific pattern, for a memorial dedicated to the victims of terrorism is the most meaningful in the hope, tolerance, and peace it offers to the world – while also recognizing those that have died innocently. In a deep sense, such a testimonial honors and speaks to the future of the world far more than it does the past. 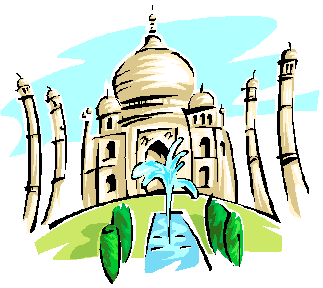 This entry was posted in Posts for the Cause and tagged 2008 Mumbai attacks, Akb Kumar, Architecture, Creativity, guns and violence, Kerala, memorials, monuments to the fallen, monuments to victims of terrorism, Taj Mahal, terrorism, terroristic violence, victims, world brotherhood. Bookmark the permalink.